According to ancient Indian alternative method of treatment, Ayurveda, milk and water are the two most important life potions, which are the healthiest only if they are properly ingest and use. What is the principle of water intake by Ayurveda? Ayurveda says that it is best to enter warm water in the body, because it helps digestion, strengthens the immune system and increases the energy. Warm water also stimulates sweating, flushes toxins from the body. It is recommended as a natural remedy for constipation and state of colds and flu. According to Ayurveda, lukewarm water gives freshness, cools and strengthens the body and mind. Ice water by Ayurveda is unfavorable for digestion and also it is harmful to health. 1. Use warm water for drink, and replace cold water with warm water. 2. Drink water half an hour before meals, because in this way, it will help in digestion. If water is taken during meals, it will not significantly affect the digestive system, while completely avoid intake of water immediately after eating, because it significantly interferes with the digestion of food and it will have impact on weight gain. 3. Drink water only when you thirsty. In Ayurveda is not prescribed certain daily amount of water to be drunk. It is enough to bring water when we feel thirst. 4. The amount of water that should be drunk during the day is individual and depends on the constitution, body weight, physical activity, nutrition and health status of the person. 5. According to ayurveda, water need to boil for 10 minutes. Another important drink in ayrveda is milk. Milk comes from the mother and makes the source of life. In addition to breast milk as healthy milk per Ayurveda, cow's milk and goat's milk could also be taken. 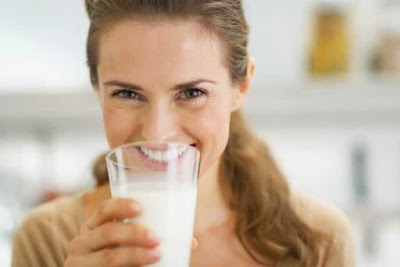 Property of milk is to stimulate the libido, to reduce fatigue, cure bronchitis. It affects the healing of wounds, removes impurities from the body, quenches thirst. It is extremely useful in anemia, fever, with constipation and others metabolic dysfunctions. 1. Milk becomes harmful when is combined with acidic foods or foods with salty taste. 2. Completely avoid milk in combination with fish, meat, vinegar, lemon, cheese, yogurt, fruit and oil. 3. Milk is best taken on an empty stomach. 4. It can be add spices into milk to intensify the flavor - vanilla, cocoa, sugar, ginger, turmeric, cardamom. 5. Per Ayurveda, cow's milk is consumed warm; the best time to consume it, is night between 7 and 8 o'clock in the evening. After that, you should not eat anything. 6. Before drinking milk, it is necessary to warm up milk. 7. People who have a productive cough with mucus should avoid milk.